We are a very technology driven family. This is why, in addition to our physical books, we love to have books on our phones. Most recently my daughter and I had a chance to check out “Laura’s Journey To The Stars” and we were so impressed. We follow along as Laura and her brother go on a star filled adventure. As the story is read to you, you see fun action through the characters. 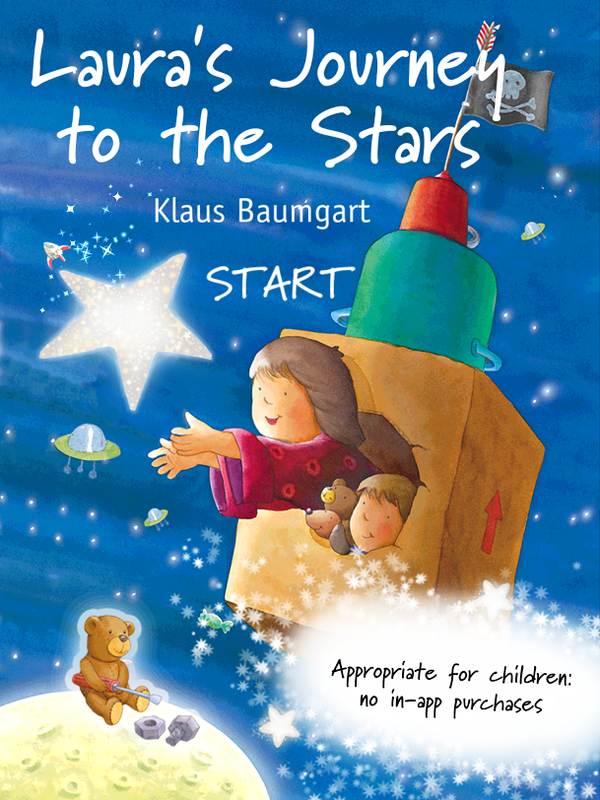 But that’s not all, with fun ways to interact, Laura’s Journey to the Stars keeps kids engaged while telling them the story. There are more than 80 animated scenes in the app, drawn by popular children’s book illustrator Klaus Baumgart. Not only do the kids get to listen and follow the story along, there are also fun mini games throughout the journey. Our favorite was pairing socks and the whack an alien. 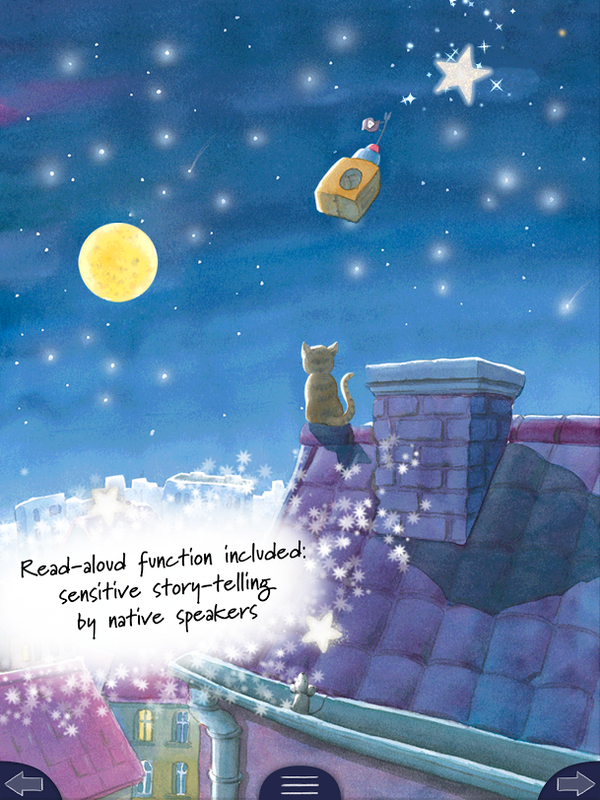 Sound effects throughout the story, make for a fun adventure all the way through. 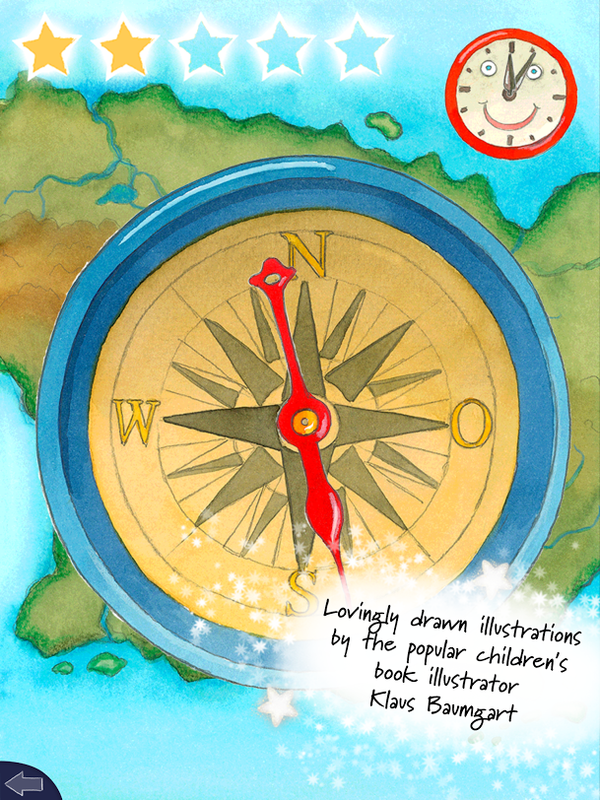 With narration available, from native speakers, in English, German, and Mandarian Chinese, this is a great way to expose your children to new languages. With the ability to control language, volume, share social, as well as get to the library panel from the page’s teddy bear, this app is very kid friendly. My 8 year old daughter whizzed through it. One of the thing, that always concerns me, as a parent wiht these apps are how easy it is to make in app purchases. All of a sudden I have a change for something I know I didn’t purchase, in my iTunes, can sometimes frustrate me. Thankfully, this app has no in-app purchases. 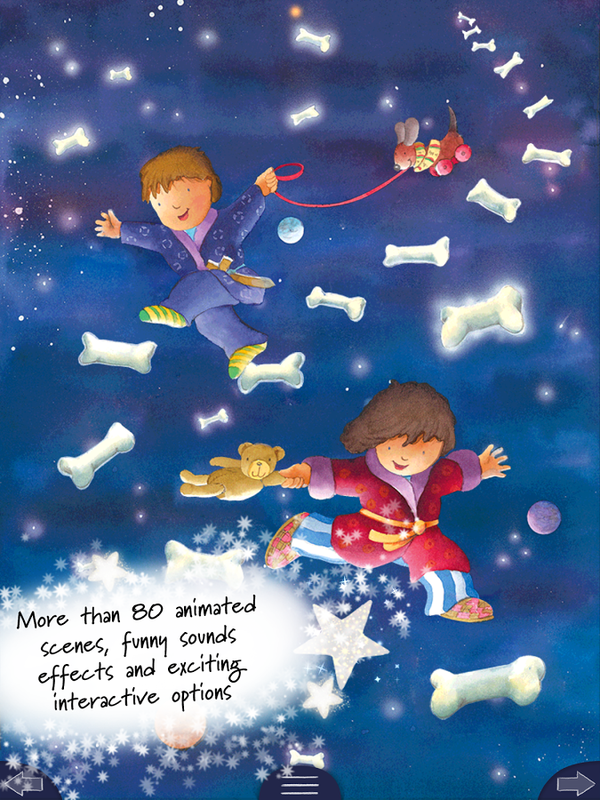 Laura’s Journey to the Stars, is a fun, interactive way, for kids to have a bedtime story. Lay with your child, and have fun with them as they journey to the stars. The price for the app is $2.99 and is available to download! Looks like a beautiful app. I like that there are no in-app purchases.